Fairfax Public Access (FPA) Television & Radio operates three channels Ch 10, 30 & 37 on Cox Cable of Northern Virginia, Comcast Cable at Reston and Verizon FiOS TV. We operate a full service TV and radio production facility and welcome students to join us in building a sense of community in their neighborhood. FPA offers students interested in television and/or radio production a great outlet to learn, experience, and create. During the summer period we offer one-week radio and two-week television summer camps which certifies participants in facility equipment and as TV or radio producers. Some helpful information about these camps is attached below but for additional information please visit the website at www.fcac.org. * Transportation and operating efficiencies. * Capital improvement plan prioritization. * Creative financing and construction strategies. * School closures and new schools. * Student accommodation planning (building additions, modular relocations, and school boundaries). FPAC will meet twice monthly on Tuesday evenings. Future meetings will be divided between listening tour meetings in the community and working meetings at the Gatehouse Administration Center. Complete information about FPAC, including its meeting schedule and contact information, also is available at http://www.fcps.edu/fts/planning/fpac/index.htm. The full listing of all PTSA committee chairs for the 2011-12 school year will be published on this site by the end of June 2011. Please contact Mike Lambert, PTSA nominating committee chair, at webmaster@hssptsa.org if you have any questions. Parents and interested community members are invited to a "Dialogue on Discipline" hosted by Hayfield Secondary principal Mr. Dave Tremaine and the Hayfield Secondary PTSA on Tuesday, May 10 at 6:30 p.m. in the Media Center. We hope to have an informative and productive conversation on the Superintendent’s discipline recommendations. We’ll also spend some time exploring the following areas: improving parent understanding of the Student Responsibilities and Rights handbook, aspects of parent notification, types of instructional support for students out of school on a disciplinary infraction, and questions the FCPS hearing office might use in a parent exit survey after a hearing. Feedback from this dialogue will be sent on to the Superintendent for his consideration, so it’s important for you to attend and share your views. Also, please plan to attend the Hayfield Secondary School “Gang Awareness and Parent” evening event on Wednesday, May 11 and 6:30 p.m. in the high school cafeteria. This informative session will include a variety of resources and a presentation by the Fairfax County Gang Unit. The event features a screening of the award-winning documentary, HAZE, looking at the crisis of binge drinking and hazing on college campuses. It is followed by an audience discussion with key experts including: Raymond F. Morrogh, Commonwealth’s Attorney for Fairfax County; Dr. William Hauda, Emergency Physician, Inova Fairfax Hospital; Chief Dave Rohrer and Captain Bruce Ferguson, Commander, Youth Services Division, Fairfax County Police Department; Jeff Levy, father of a student who died following drinking at a college party; and a college student. It’s a must see with your teen before he or she leaves for college! Choose the date/location that works best for you. Presented by the Unified Prevention Coalition (UPC) of Fairfax County Public Schools (FCPS) and its Countywide Initiative to Reduce Underage Drinking (CIRUD), in collaboration with the Fairfax County Police Department (FCPD), Safe Community Coalition, and others. For further information, please contact Lucy Caldwell, Fairfax County Police Department, at 703-246-3271, or visit the Unified Prevention Coalition at www.unifiedpreventioncoalition.org. Don't Forget the ANGP Fundraiser: FLOCKING! "Flocking" can wing its way to your neighborhood and can also help raise money for our seniors. If you’re not familiar with flocking, it involves PTSA volunteers (usually working under the cover of night) and pink flamingos. Intrigued? You can find the form on the PTSA website for flocking HERE. Congressman Jim Moran will hold a community event featuring the online social networking site Facebook. The event will be held April 12th at West Potomac High School and will discuss smart practices for using online social networking sites. Moran will be joined by representatives from Facebook, the world’s top social networking site. From stories of identity theft to physical and emotional abuse, recent news reports have highlighted the risks of online social networks. In 2010, the Internet Crimes Complaint Center received and processed an average of more than 25,000 complaints per month. The growing population of young internet users stresses the need to hold a conversation on responsible internet practices. Facebook has more than 500 million active users and is one of the world’s most trafficked sites. What: Congressman Moran and Facebook will discuss and answer questions on ways to safely and securely engage your online social networks. This event is free and open to the public, all ages are welcome. 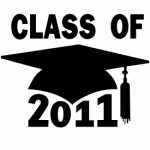 The Hayfield Secondary Class of 2011 graduation packet is now posted on the school's main web site. This packet has all the information you need regarding the Senior Prom , the Senior Awards, Senior Oscar Night, the Senior Picnic and the graduation ceremony itself. 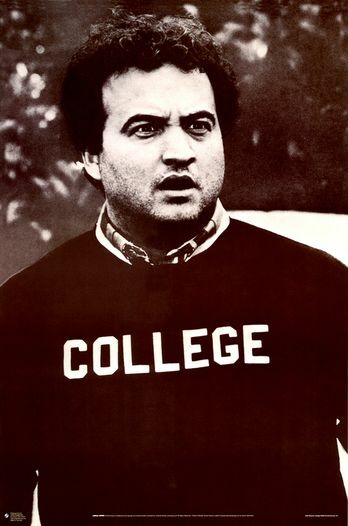 If you have any questions, please call Washington Hall (Senior Hall) at 703-924-7454. Also posted in the same area on the school's web site is an entry form to complete for a chance to win a raffle for reserved graduation ceremony seating in the school's field house, which is where the ceremony will be held on June 16. All raffle proceeds go towards the 2011 All Night Grad Party Fund. Consider joining our ranks for the 2011-2012 school year! The Hayfield Secondary PTSA currently has two officer positions (recording secretary and corresponding secretary) as well as several key committee chairperson and booster liaison vacancies on our board for next year, and we would like to invite. Please review the attached document listing all current vacancies (highlighted in RED), and if you have additional questions, please contact Nominations Committee chair Mike Lambert at webmaster@hssptsa.org for additional information.